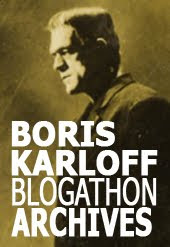 I believe one could travel all over the world and see a new Frankenstein play, somewhere, every week. 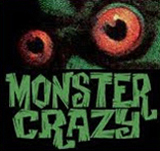 In the last month, in North America alone, beside the two highly publicized Frankenstein musicals competing in New York, there were several productions peppered all over the map, including a puppet version, two different ballets, and countless small-scale, amateur stagings cobbled together in time for Halloween. 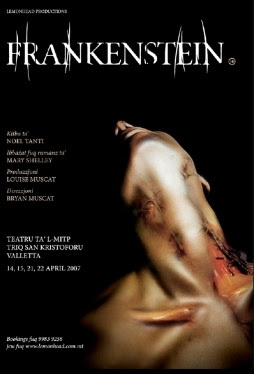 The themes in Frankenstein allow for infinite interpretations, and one of the most original recent takes on the story is the Maltese language version staged in April this year by Lemonhead Productions at the MITP theater in Valletta. Writer Noel Tanti, who also plays the Creature, created a wholly original script in two parallel parts. Mary Shelley’s tale of rejection bounces off a contemporary story about a wheelchair-bound woman in a difficult relationship with her daughter. Tanti riffed on the original novel’s themes of love, parenthood and the need for acceptance. The play’s director and Lemonhead co-founder, Bryan Muscat, played the part of Victor Frankenstein. Tanti keeps a fascinating blog where he discusses his version, and the Lemonhead site offers a wonderful and instructive selection of articles about every aspect of creating the play, step by step, including thoughts on adapting Mary Shelley’s book, going through rehearsals, costuming and makeup, up to the premiere and a post-show evaluation. All in all, a rare, intimate and precious insight into the creation of this Frankenstein from the ground up, a process that required some 10 months of very dedicated work. Here’s an enthusiastic review. This is one play I would have loved to see. I need to brush up on my Maltese! The play’s striking poster is by production designer Derek Fenech. just came across your post... thanks a million for the mention!!! Thank you for stopping by, Noel. I would have killed to see your version. It sounds wonderful.